Described as "engaging, hilarious and practical" by Sheryl Sandberg, Jessica Bennett's new book, Feminist Fight Club is an essential and witty read for all women in the workplace. 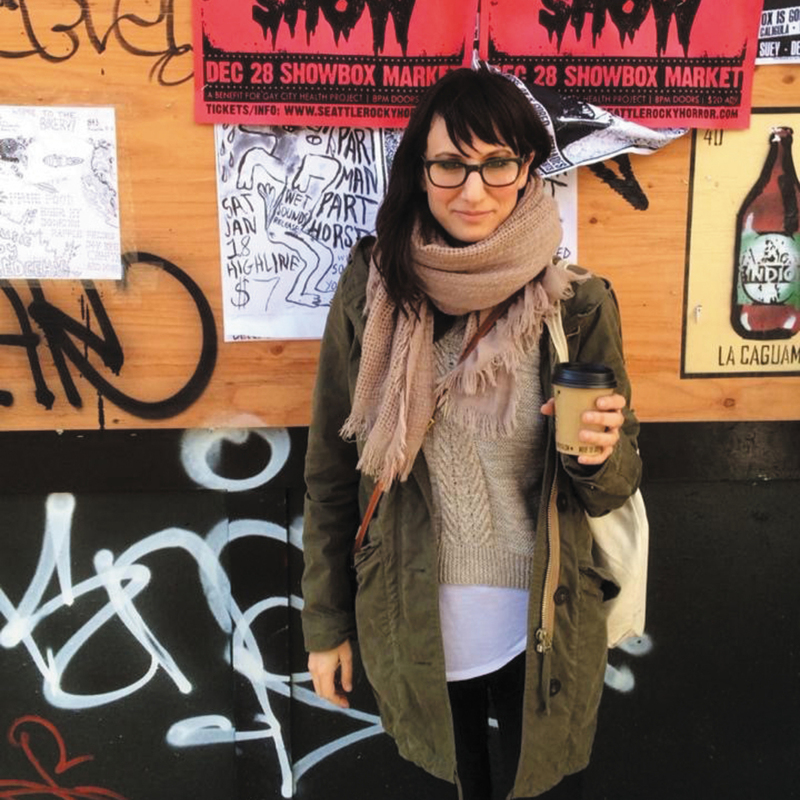 Feminist Fight Club blends the personal stories of a group of women who formed a secret group in New York City with research, statistics, and no-bullsh*t advice for how to combat today’s sexism. Bennett offers a new vocabulary for the sexist archetypes women encounter everyday—such as the Manterrupter, who talks over female colleagues in meetings or the Bropropriator, who appropriates their ideas—and provides practical hacks for pushing back. 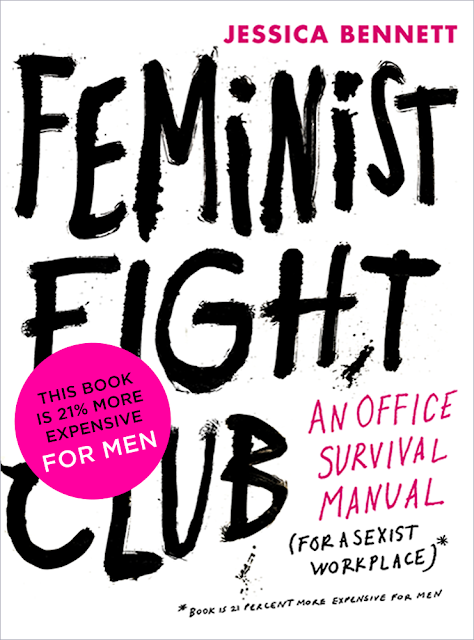 With original illustrations, Feminist Mad Libs, a Negotiation Cheat Sheet, and fascinating historical research – including a glossary of OG Feminist Fight Clubs – Feminist Fight Club tackles both the external (sexist) and internal (self-sabotaging) behaviors that plague women in the workplace—as well as the system that perpetuates them. Bennett is an influential voice in today's conversation about workplace equality and social issues. With experience of working at Newsweek, Tumblr and Sandberg's Lean In Foundation, Bennett is a modern day advocate for women and the issues we all experience in the world of work. This is an essential read, and particularly great for those days that haven't gone so well at the office. Find out more about the book and the movement here. Thanks to the publisher for a complimentary copy of FFC. Judith Miller the undisputed Queen of Antiques will be launching her exciting new title Living with Art Deco Style in October 2016 and The Blanchard Collective is delighted to announce a book signing event at their Marlborough showroom on Wednesday 5 October from 11 am, in collaboration with the award winning Hungerford Bookshop. 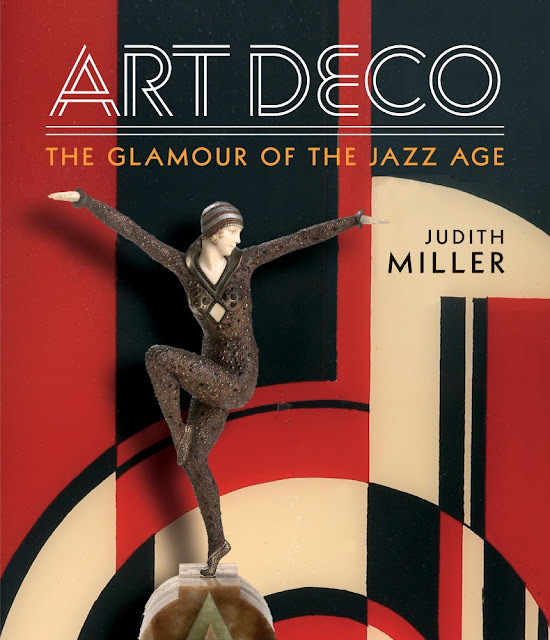 Internationally acclaimed antiques expert Judith Miller will sign copies of her book and share her knowledge with visitors and a highlight of the event will be a panel discussion with Judith and Art Deco specialists at The Blanchard Collective, Peter Woodward and Philip Varma and guest specialist Art Deco dealer Jeroen Markies. The dealers will show a selection of star pieces from their own collections using Judith’s beautiful book to reference makers and influences from this illustrious era of early C20th style. For further information contact Gail McLeod at mail@antiquesnewsandfairs.co.uk. 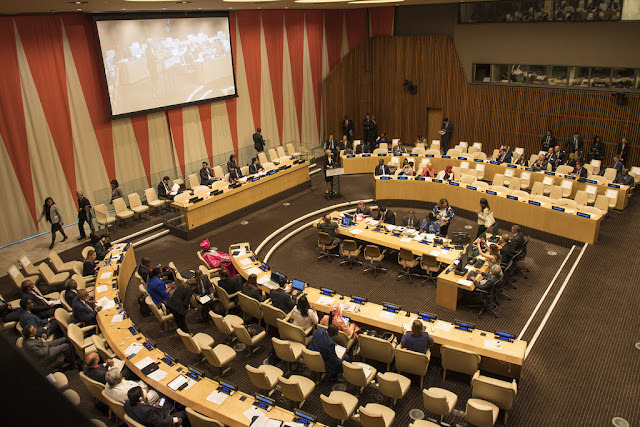 The Westminster model of parliamentary democracy has been adopted by many countries across the world, and the UK Parliament has been described as the Mother of Parliaments. It's a tricky institution to master, with many rules, regulations and centuries old conventions that MPs and their staffers must respect. 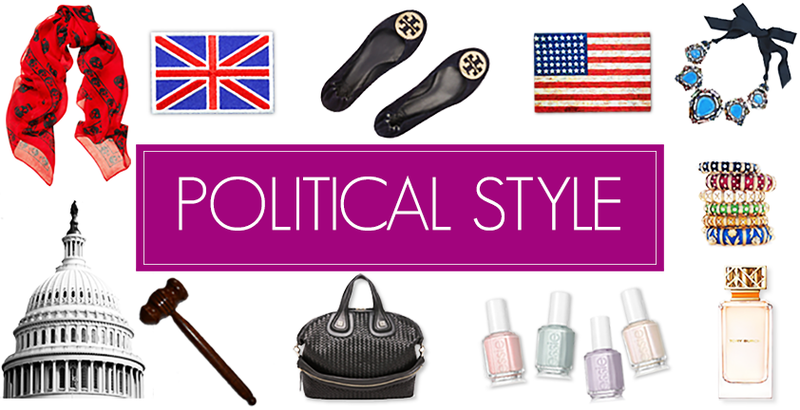 Even for the British public, Parliament has rules- particularly when you visit! FutureLearn, the social learning platform, is partnering with the Houses of Parliament to run its first course: “Introduction to the UK Parliament: People, processes and public participation." 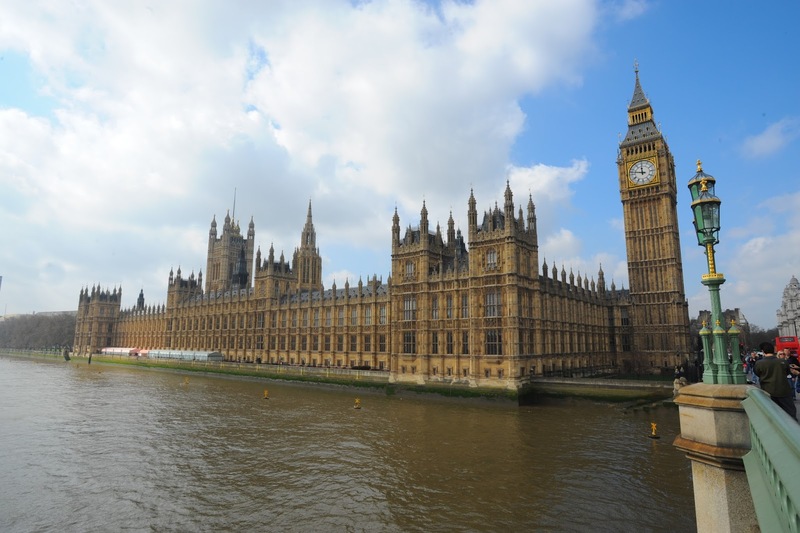 The course will begin on November 14th to coincide with UK Parliament Week, a programme of events and activities that connects people across the UK with Parliament and democracy. For more information on the course and to be a Parliamentary expert visit FutureLearn to find out more. One of my favourite go to dresses is a black shift from Elsa and Me. Handmade and exquisitely crafted, I get lots of compliments when I wear it! 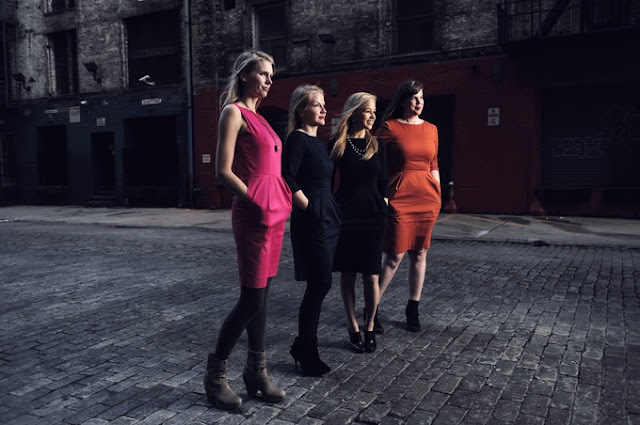 Now the brand has launched a Kickstarter to help fund their next project. To expand and improve their service for the fall season, ELSA AND ME is working to purchase its largest bulk order of fabric yet and is enlisting the help of its customers and fans through Kickstarter. Having an inventory of material will speed up their production process, shorten the time between ordering and delivery, and keep prices low. With ten pledges to choose from starting from $15, there's an option to suit every price point. 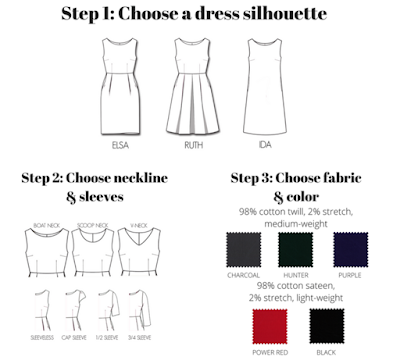 Plus you can donate to have a bespoke dress made in the style and fabric of your choice! For more details on the Kickstarter and to pledge, click here. 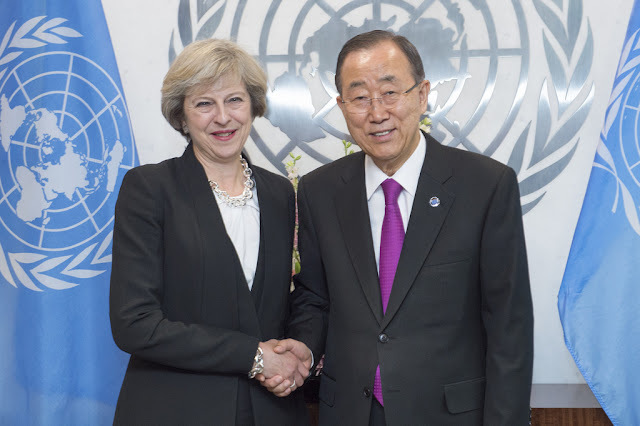 The PM travelled to her first UN General Assembly in New York earlier this week. Addressing delegates, Theresa May spoke about the refugee crisis. 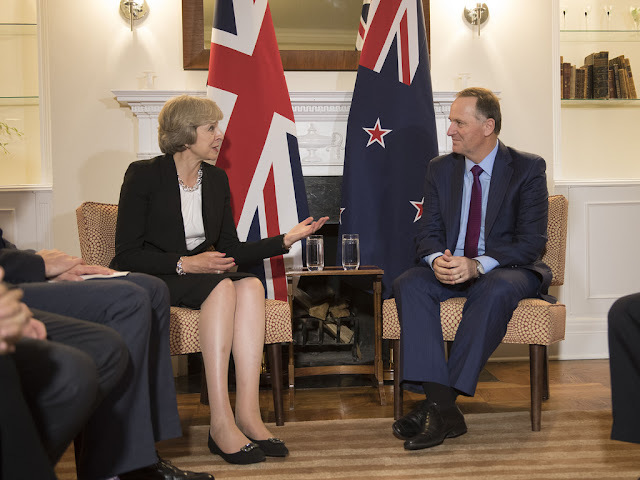 The PM also met with the Secretary General, Ban Ki Moon and other world leaders including the Prime Minister of New Zealand, John Key. 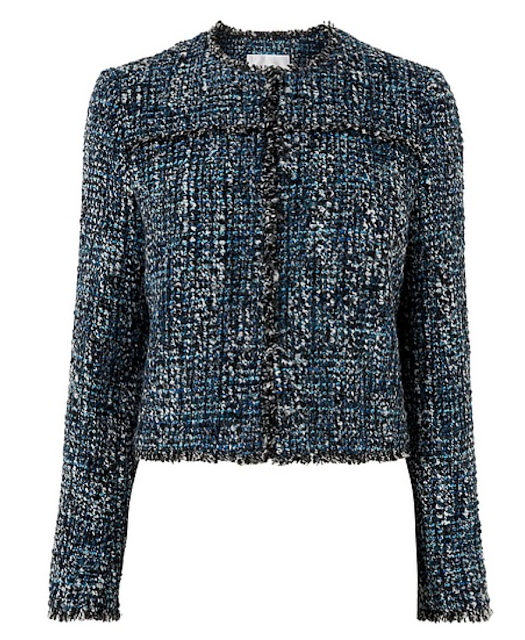 The PM wore a black tailored skirt suit by Amanda Wakeley, a white shell top and oversized chain necklace. The look was completed with a pair of jewelled buckle black flats from Russell & Bromley. 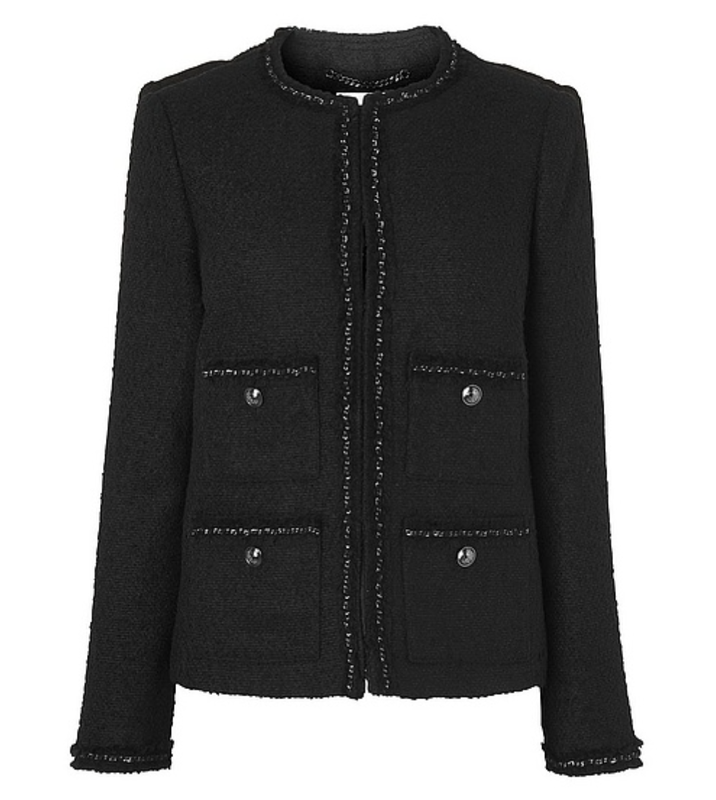 I have a thing for coats and jackets, and if I have my sensible head on I really shouldn't be looking at any more. But... this Sally coat by Boden is utterly perfect! 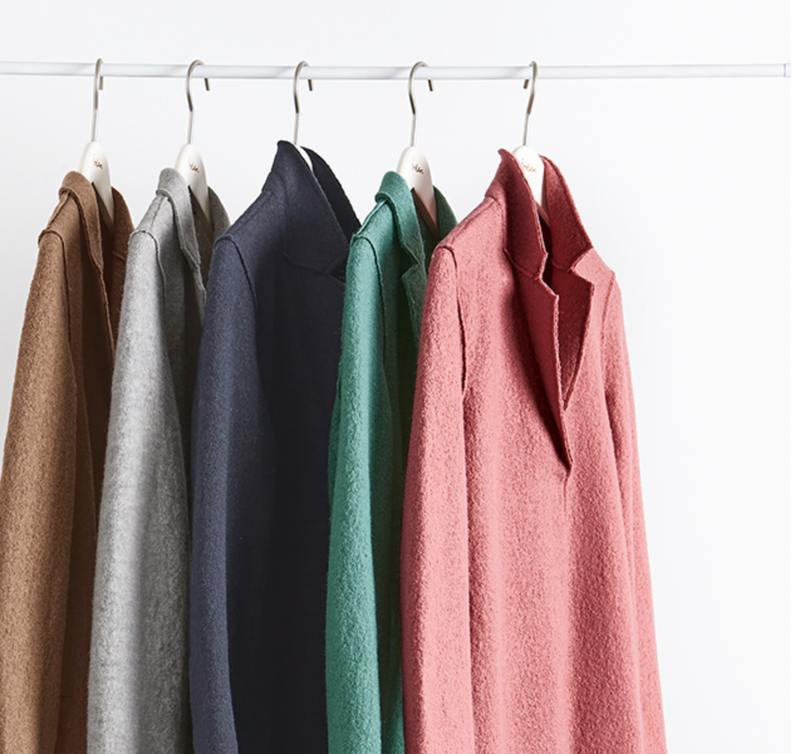 Made from luxurious boiled wool and raw edges, the straight shape and unlined material make it perfect for the transition between autumn and winter. 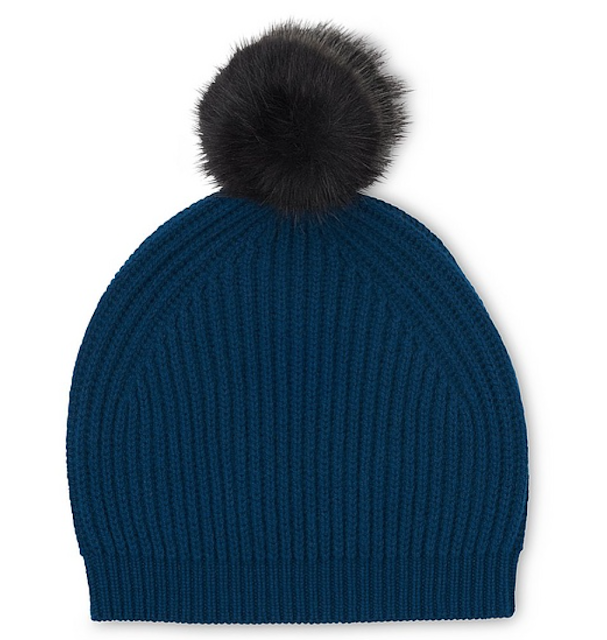 It comes in five cool colours (the navy being my fave) and would look ace with jeans, skinny trousers and a pair of funky flats. 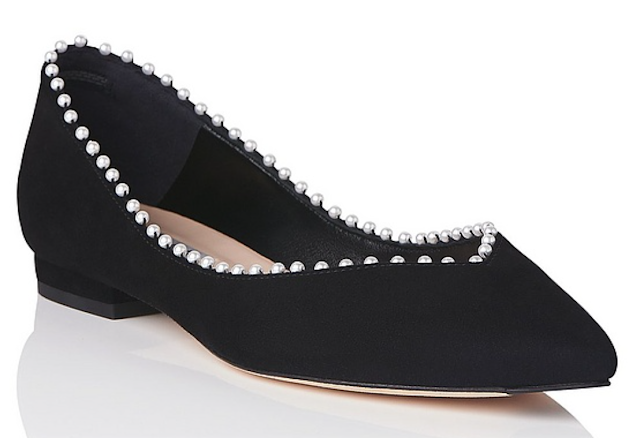 This was quite possibly the chicest email that landed in my inbox this week - and I can't stop thinking about these gorgeous flats! 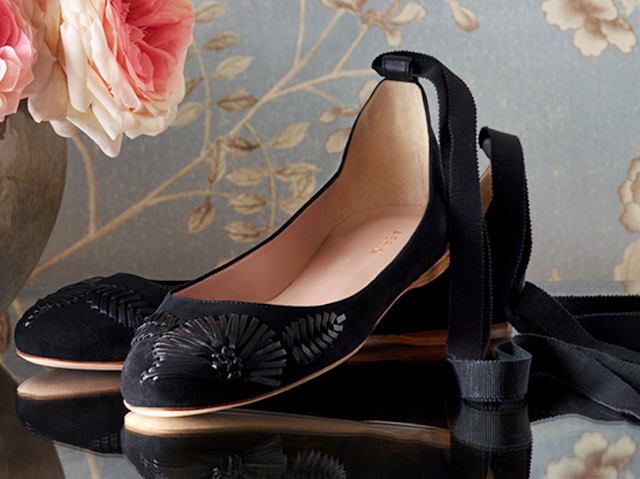 AERIN's new Embroidered Suede collection features this fantastic suede ballet pumps with embroidered floral motif and a great grosgrain ankle strap. Hand made in Italy, the quality and finish is second to none. And it doesn't end there! 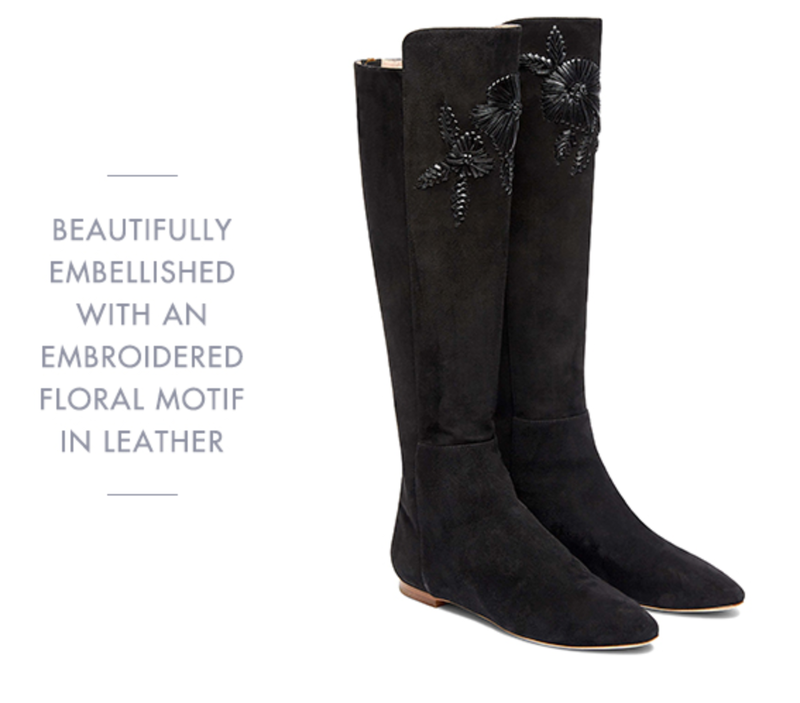 The embroidered suede boot is also terribly chic, and would look great with a pair of skinny jeans and a cute dress alike. I thoroughly enjoyed visiting the Bath Decorative Antiques Fair earlier in the year and I'm really excited that the fair will be branching to Bruton next month! 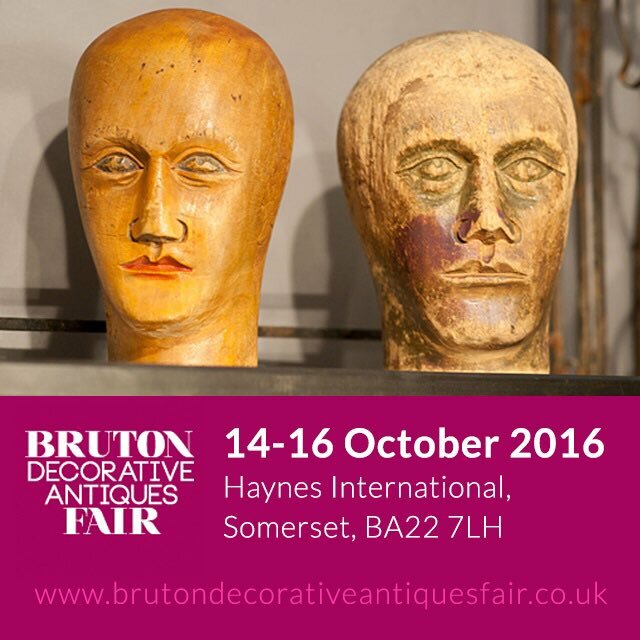 ￼The first Bruton Decorative Antiques Fair will take place 14th -16th October 2016 and will offer an opportunity to many dealers who miss out at the Bath fair. Organiser Sue Ede provides further details: “We had such a long waiting list for our Bath fair this year we decided we had to find a second venue and we could not be more delighted with The Haynes International Motor Museum just outside Bruton, where their brand new £6million modernist design extension will be home to our exciting new event. TV celebrity Mark Hill will open the fair on Saturday October 15th at 10am. 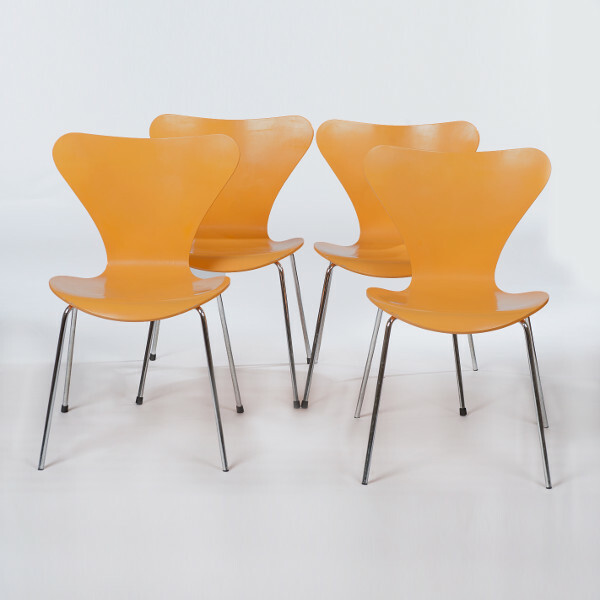 Original series 7 Dining Chairs, designed by Arne Jacobsen in 1955 and produced by Fritz Hansen, made between 1995 and 1996. Approximately thirty-five dealers will be taking part, and all kinds of designer pieces and inspiring antiques and art will combine to provide a head-turning mix of styles and colours. 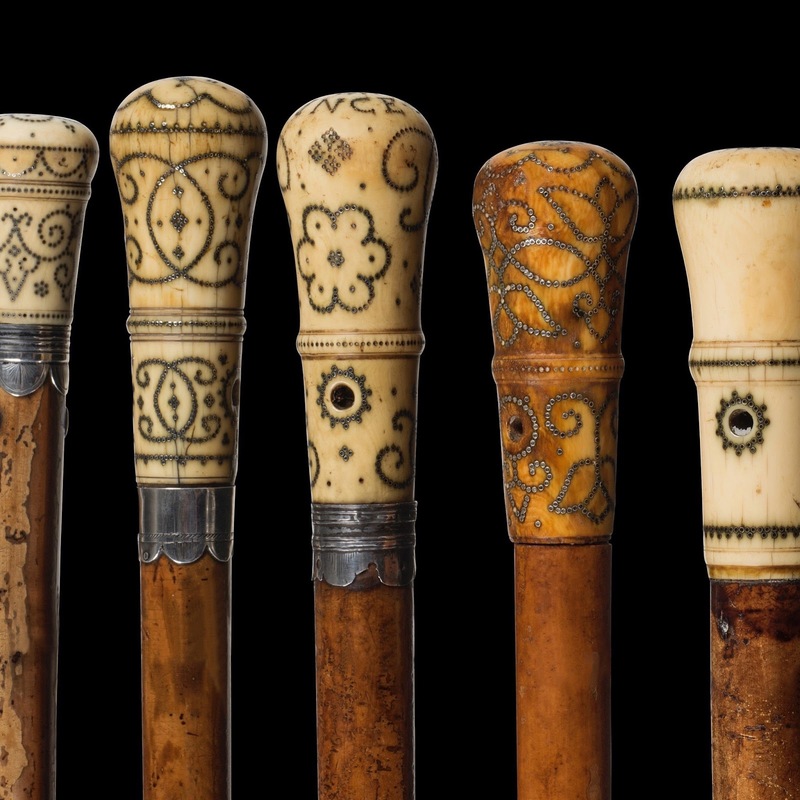 Among the leading exhibitors will be The Factory, the Castle Cary, based collective of seven leading dealers from the decorative trade founded by David Tupman Antiques. Sharing this beautiful former dairy house in Castle Cary is Brighton dealer Jill Palmer, Pimlico dealer Christopher Butterworth, London dealer Derek Greengrass and from Ashburton, Devon, Roger Organ. 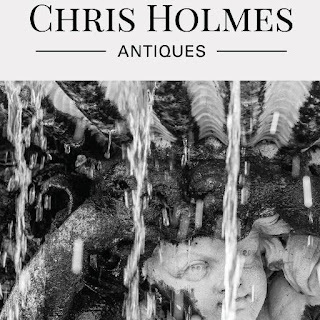 Together, they will be exhibiting an eclectic mix of decorative antiques for the home and garden. Alchemy from Bruton, a company at the forefront of designer and interior trends take a stand to show French and English sofas and elegant arm chairs, dining tables and chairs, 20th century glass tables, English and European mirrors, textiles and a selection of contemporary art and sculpture. Devon dealer Violet Grey specialise in antiques and decorative pieces for the garden and conservatory. 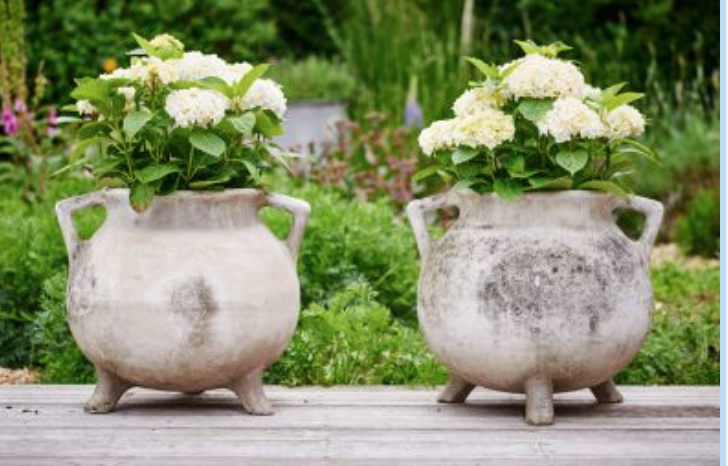 Their stand promises a colourful range of copper pots and urns, statuary, wire plant stands, furniture such as Coalbrookdale iron benches, and such eye-catching pieces as a charming multi-colour French garden windmill. 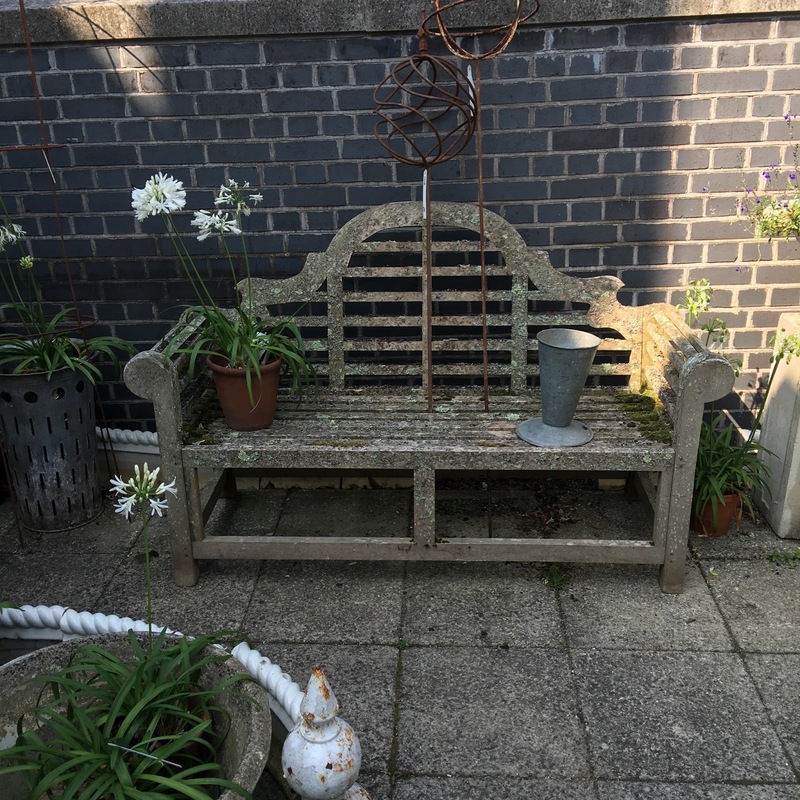 Kent dealers Elham Antiques bring more garden and architectural pieces and unusual painted furniture. dealer Chris Holmes Antiques, who also made a very successful debut at Bath in March, deals in decorative and semi-formal furniture both period and decorative, English and Continental garden antiques and statuary and offers an exciting collection of contemporary art by partner Chloe Holt RSA, FRSA, which was a sell out success at the Bath Fair. Dorset dealers include Macintosh Antiques from Sherborne with a range of English Country House pieces on a grand scale, with a focus on upholstery, fine examples of the Arts and Crafts movement, English mirrors and garden antiques. The Jerram Gallery, also from Sherborne, specialise in British contemporary art; and Guy Dennler Antiques, showing a range of fine Georgian drawing-room and dining furniture for the traditionalist. ‘Hollywood Regency’ is a new collecting/decorative design style that describes both interior and landscape architecture characterized by the bold use of color and contrast often with metallic and glass accents meant to signify both opulence and comfort. Exhibitors The Oscar Collective will be specialising with a number of eye- catching pieces including European mid-century and 19th & 20th century French objects d’art. Also showing exhibits with a touch of glitter will be Twentieth Century Glamour, specialising in 1920’s -1960’s costume jewellery, Art Deco original prints and European Art Deco figurines. Other exhibitors at this packed event include Bruton dealer Quillon House Antiques specialising in original arms and armour, equestrian paintings, ceramics, glass and early oak furniture. From Fulham, John Wiseman specializes in decorative and architectural salvage sourced mainly from period London buildings; John Shepherd & Erna Hiscock, specialist folk art dealers; Mark Blower Antiques from The Channel Islands, dealing in period English furniture for town and country; Not Wanted on Voyage with an eclectic mix of furniture, art and accessories from the 60s and 70s, Paul Drewett Antiques, specialising in marine antiques and paintings and garden ephemera; Brian Ashbee Antiques from Bristol with town and country furniture and accessories; Simon Wharton Antiques from Somerset showing architectural reclamation particularly fireplaces and decorative antiques mainly from France, and William Morris Antiques with gentlemen’s library furniture including club chairs and decorative accessories. Sharing their combined stand will be Appledore Antiques from Devon with furniture, ceramics and unusual collectables; and Winfield Canes with a wide range of rare antique canes and sticks, many highly decorative and others with gadget appeal. With so many stands and dealers to explore, this is antiques heaven. For more information on the Fair, including opening times, directions and further updates visit www.brutondecorativeantiquesfair.co.uk. 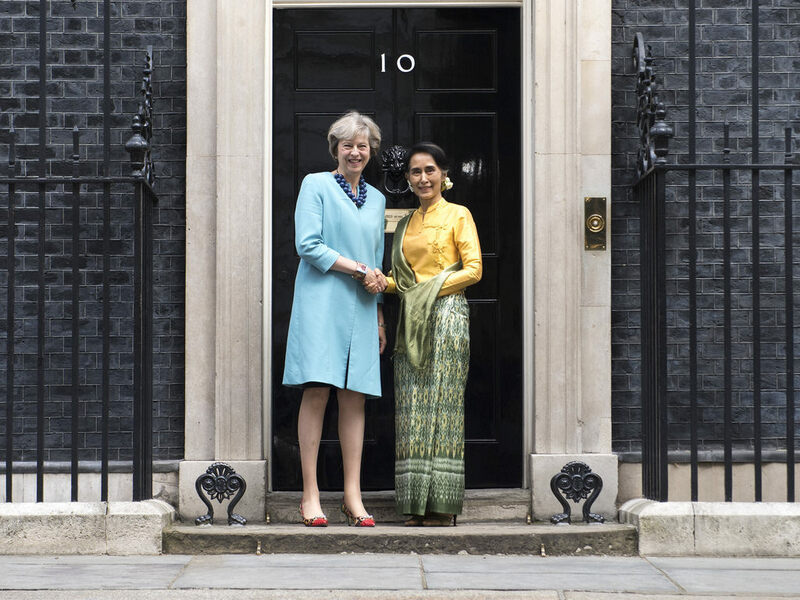 Aung San Suu Kyi paid a visit to Downing Street today, meeting with the PM to discuss links between the UK and Burma. The visit is Suu Kyi's first visit outside of Asia since her party's election victory in November 2015. 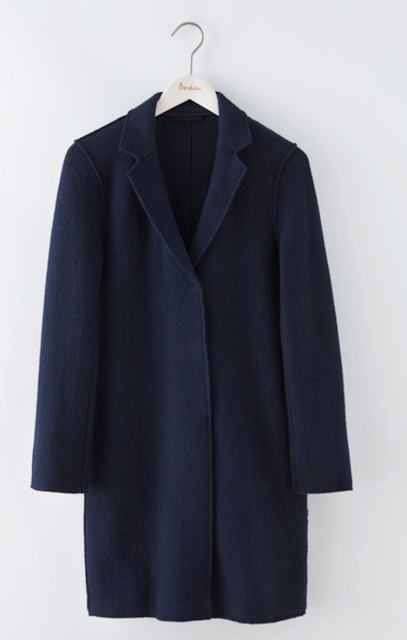 The PM wore her sky blue coat over a navy dress, accessorising with a chunky bead necklace from Mirta Bijoux and green, red and leopard kitten heels from Russell & Bromley. London Fashion Week doesn't just take a toll on your feet- what about your poor hands?! 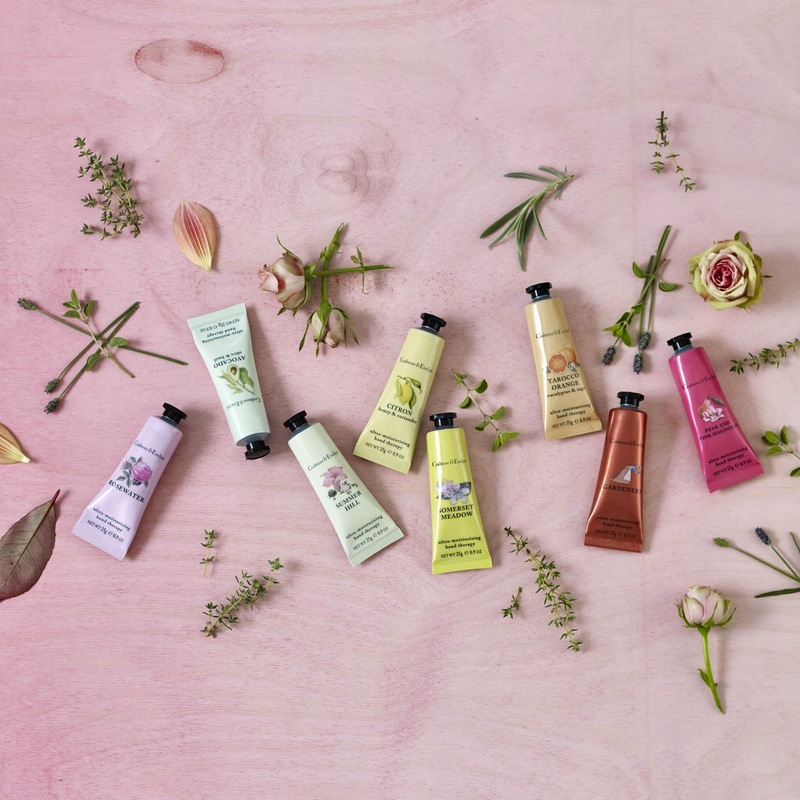 Thankfully Crabtree & Evelyn is on hand and has teamed up with Fashion Scout SS17 to be the official skincare partner. From 16th – 20th September over 10,000 glamorous fashionistas are expected to gather in Central London to watch some of the world’s best off schedule designers, such as Pam Hogg, David Ferreira and Ashley Isham, showcase their latest SS17 collections. That means that for 120 hours, the streets of London will come alive with fashion buyers and aficionados, racing from show to show to report on the latest trends and gossip from the FROW as they unfold, so is it any wonder that these enthusiasts go into digital over-drive for five days? Based at Fashion Scout, Freemasons’ Hall, Crabtree & Evelyn’s #HandsOnFashion Botanical Emporium is here to make those ordinary moments, extraordinary. Offering fashionistas a complimentary rejuvenating hand massage with one of their iconic intensive conditioning Hand Therapy creams, it provides a mini sanctuary to escape the hustle and bustle between shows. Guests will be encouraged to immerse themselves into a therapeutic botanical wonderland and explore the naturally beautiful world of the floral photo booth and living wall. By simply uploading a selfie or boomerang, in front of the floral wall, to Instagram and tagging and following @CrabtreeUK, guests will receive a limited edition #HandsOnFashion tote bag to carry round all their fashion week goodies. Crabtree & Evelyn will also launch a special #HandsOnFashion Snapchat geofilter for London Fashion Week, allowing enthusiasts and opportunity to exclusively use the filter whilst snapping. The #HandsOnFashion Emporium runs from Friday 16th September- Tuesday 20th September 10am-7pm. No booking is required. 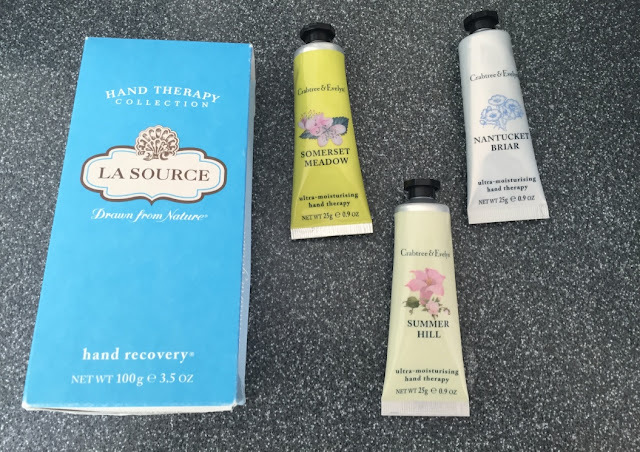 Whilst I won't be in town for LFW I'll be treating myself to a Crabtree & Evelyn experience with the Hands Therapy treatment and some sweet smelling hand cream! Here are a selection of some of my favourite new arrivals at LK Bennett. 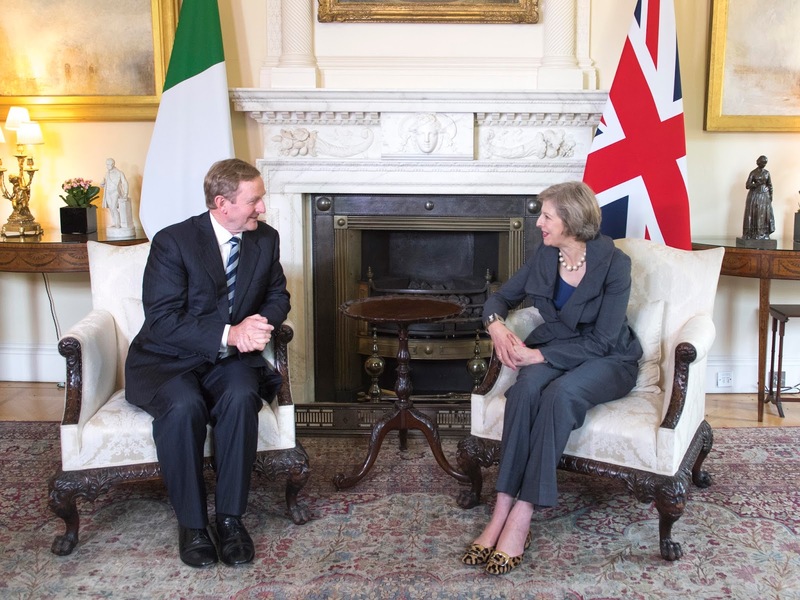 The Prime Minister met with Donald Tusk, president of the European Council at Downing Street earlier today. Theresa May was today told the 'ball is in the UK's court' on Brexit as she was urged to start official negotiations. The political consequences of Brexit will be discussed at special talks in Braislava next week without the UK being present. The PM will attend her first summit as leader in October. 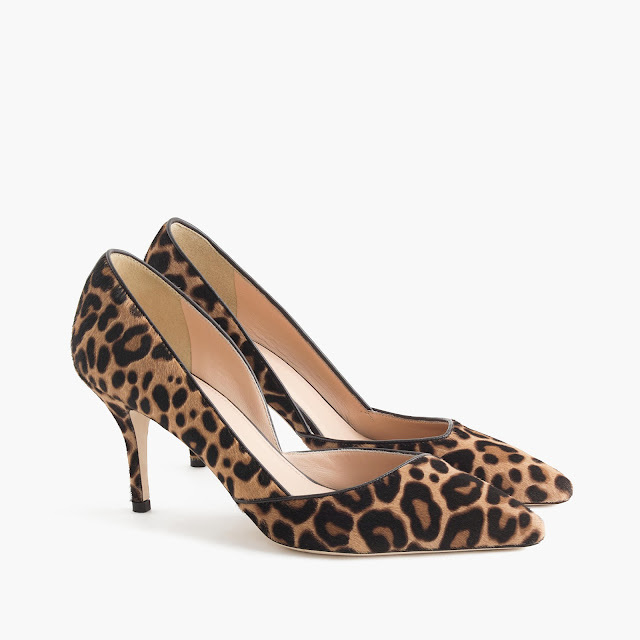 On a lighter note, the Lo-Fi pumps from Russell & Bromley made a reappearance today. 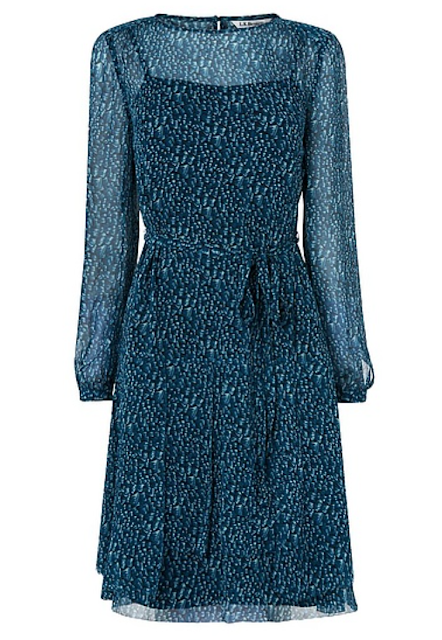 The PM paired them with a navy shift dress and oatmeal coloured cardigan jacket. 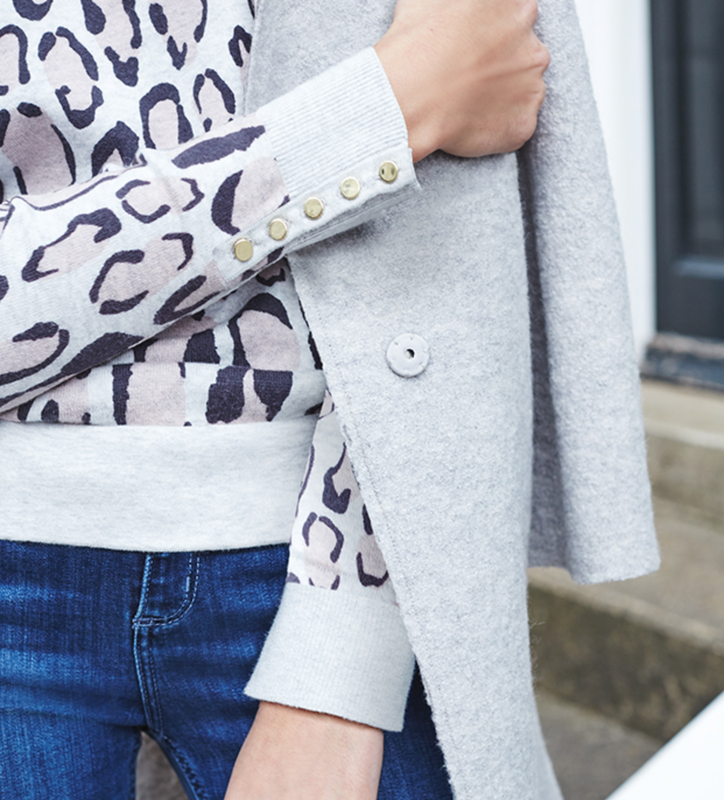 I love a bit of leopard, and it seems like AW16 does too! 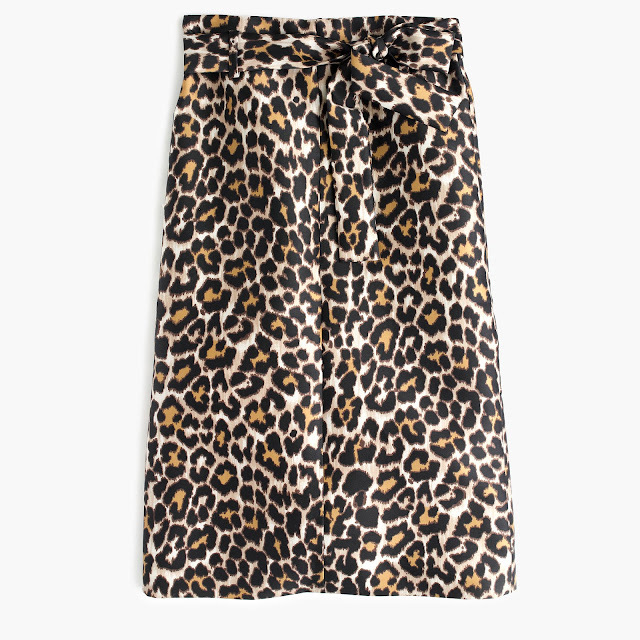 The print is everywhere, and its resurgence in popularity can perhaps be linked to the many column inches discussing our new Prime Minister's fondness for leopard accessories. Gloves here and a few pairs of shoes there, Theresa May is one big leopard print fan. We saw her enter Downing Street wearing a pair of leopard print kitten heels, and she wears a flat version by Russell & Bromley on a frequent basis. 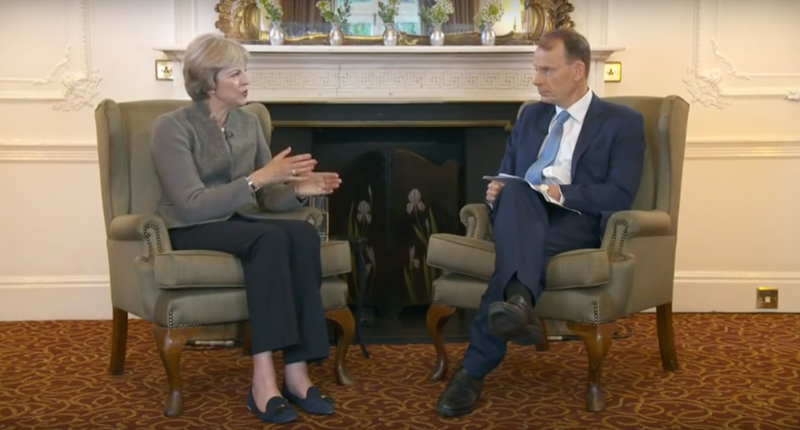 I've counted at least nine different pairs of leopard shoes of differing height and style over the years, making the print a firm favourite of our PM. Why is leopard print so appealing? 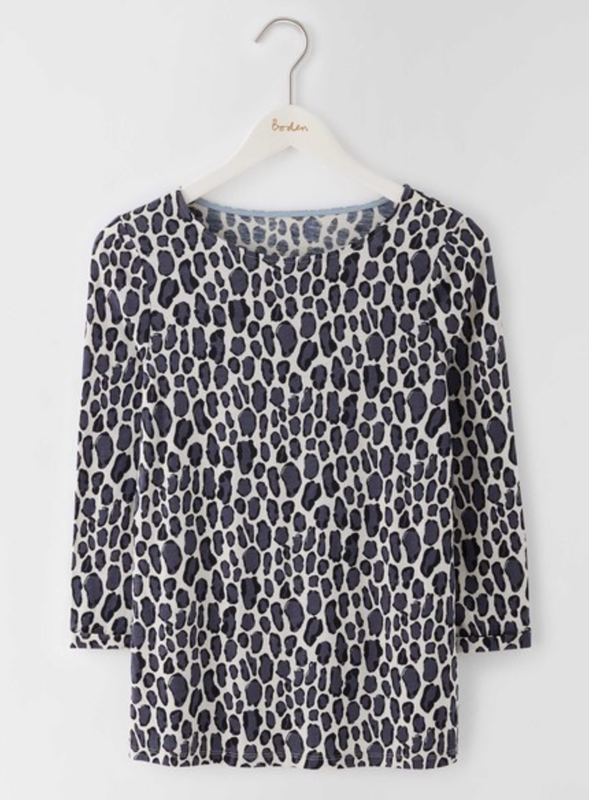 I've always considered leopard as a neutral, and long gone are the days when leopard was frequently associated with a cheap item of clothing you'd find at a market stall. 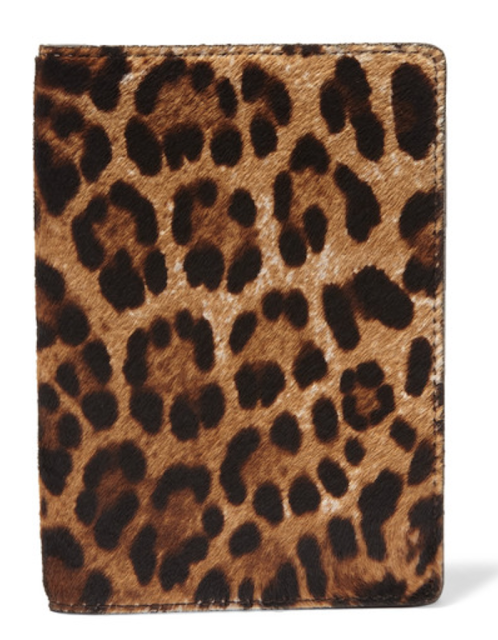 Leopard print is a sophisticated way to show your fierce personality, and demonstrate that you can accessorise outside the box. Theresa May is not the only leopard print fan. Olivia Palermo mixes her prints, and this bold cheetah x leopard look is one of my absolute favourites. Jackie Kennedy was also a fan, wearing a genuine leopard fur coat by Oleg Cassini throughout the 1960s. How can you score a little bit of leopard for the autumn? Your fix can be easily solved by heading to the high street and clicking online. Here are some of my favourite leopard pieces for AW16! 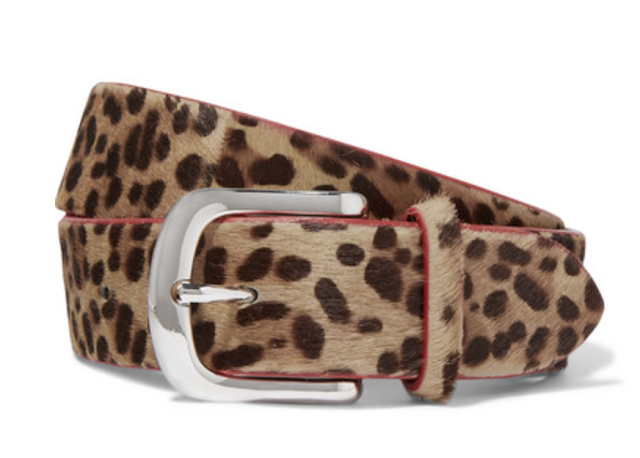 Are you a lover of leopard? 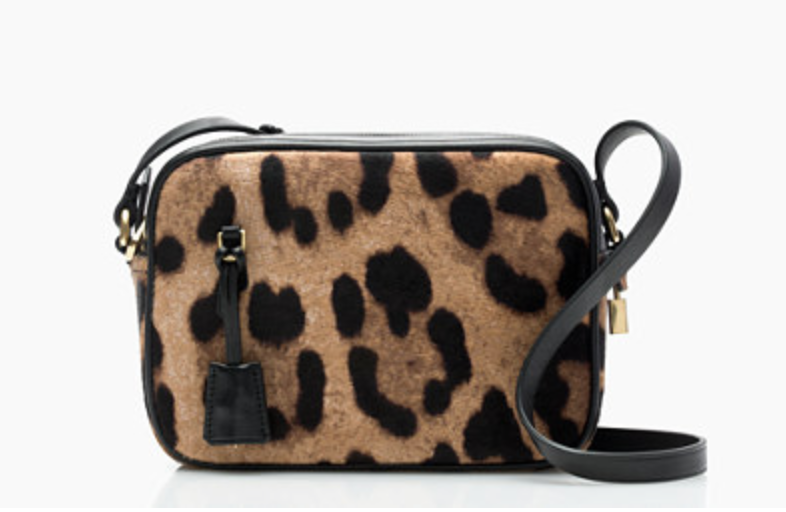 Share your favourite leopard pieces with to be featured in a future post! Prime Minister Theresa May attended her first international meeting as the UK's leader this weekend, heading to the G20 Summit in China. The Prime Minister wore a red dress and jacket suit, tapered by a black band and accessorised with a gold pendant and pin. 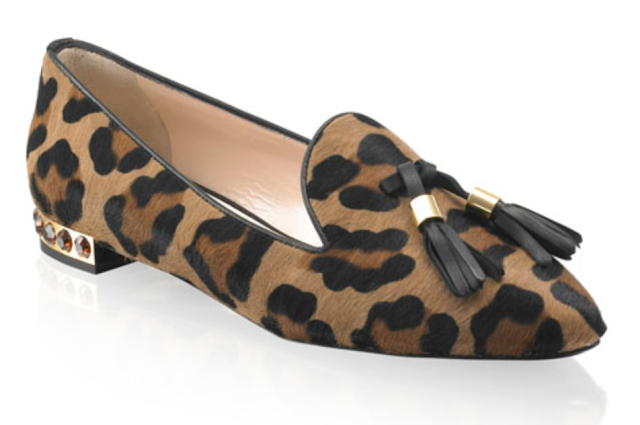 On the shoe front, she wore her pair of Issa x LK Bennett Parrot pumps. 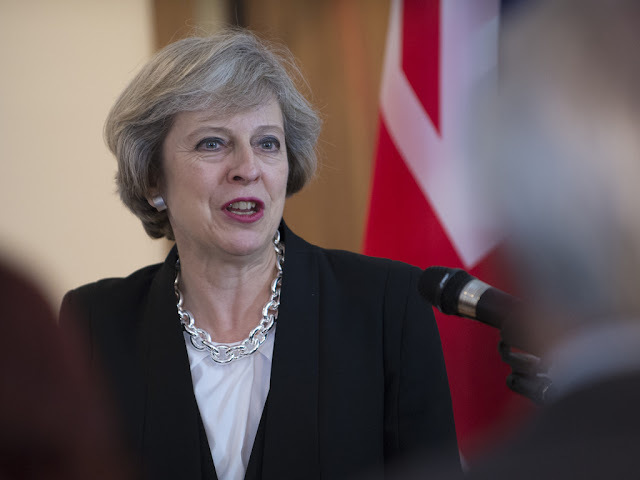 The PM set out her goal for the UK to become a global leader in free trade at the Summit, as well as starting exploratory talks with countries including the US, Australia and Canada to start negotiating new free trade agreements. For details on the Summit and the UK's position, further information can be found here. For fashion fans, the PM wore black slacks, and grey textured tailored jacket, a white cami and the Cocktail jewelled tassel pumps in navy from Russell & Bromley. 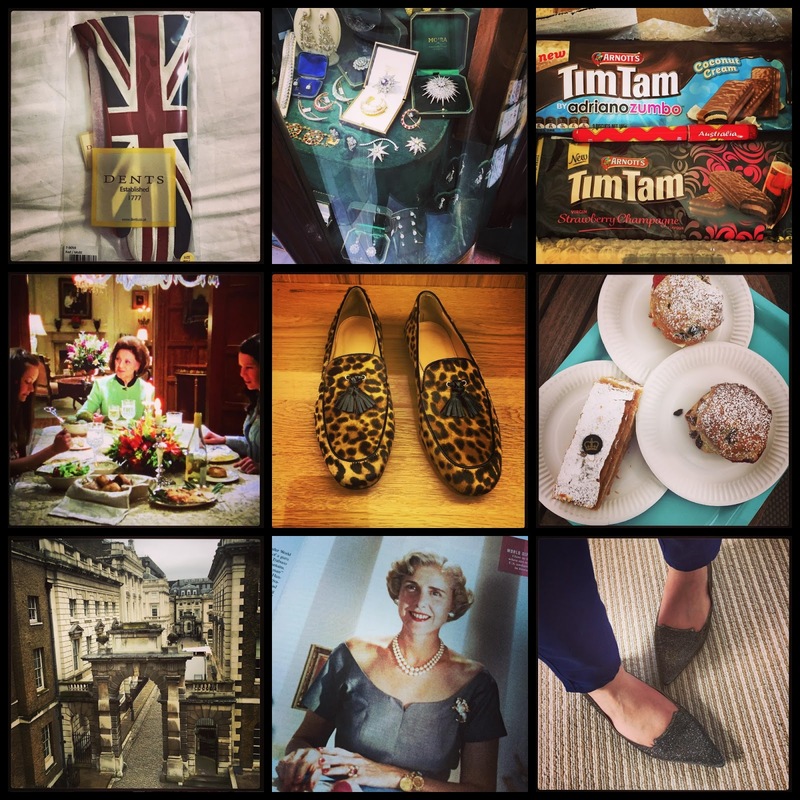 Follow my Instagram adventures here!